WORKLINK EQUIPMENT ( MALAYSIA ) SDN. BHD. (WE) was established as a time management specialist in 1995. WE have grown into a company with nationwide marketing network within the country. With the concept of branding or brand building as a competitive business process. In 2000, WE has ventured into its own products design and development with its own registered brand name “WEMAX”. With the marketing expansion programme, WE has widen its product line to fulfill customers satisfaction. Presently, “WEMAX” range of products includes Time Recorder, Paper Shredder, Check Writer, Note Counting Machine, Binding Machine and Laminator. The growth in awareness for Information Technology in the past few years has increased the demand for high technology products. Therefore, with its company’s philosophy to provide the latest high-tech products to enhance office productivity and lighten management load, WE has expand its product line into system solution provider. In view of large increase in the volume of trade for “CLICK” products. The Management have decide to decentralize the “CLICK” division as an entire owned operation, CLICK MARKETING SDN BHD (CMSB) was incorporated in 2009 as a subsidiary company of WORKLINK Group. 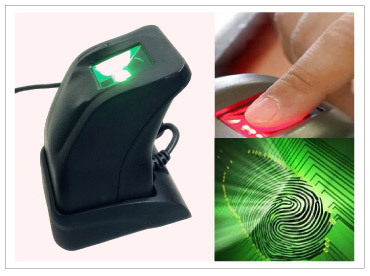 At CMSB, we are specialize in Biometric & RFID System for time attendance, door access, patrolling, check writing and cafeteria management. We have developed our own software which cater to the solution for all “CLICK” products. We are fully committed to our exiting and future customers by “CLICK” experienced system and technical support team. With our single mission, CMSB are well prepared to meet the growing demand market and dealt with even more promptly in all related aspects within this industries.